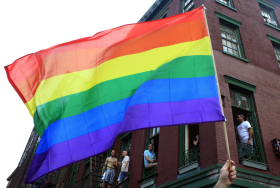 New York, N.Y. - NYC & Company, New York City&apos;s official tourism, marketing and partnership organization, encourages visitors and locals to celebrate Pride this summer in the five boroughs. Pride Week 2015 is scheduled for June 21-28, but celebrations will take place throughout June and July. Pride Week embraces the rich diversity and vibrant culture of the gay, lesbian, bisexual and transgender communities in New York City, paying homage to the groundbreaking historical events that took place in New York City and impacted the gay rights movement, such the anniversary of the Stonewall Riots. Adirondack Region, N.Y. - This summer, cool off in the Adirondacks during one of the region&apos;s many boating races and festivals, or enjoy a quiet sail along some of the most scenic shoreline in New York State. Boating in the Adirondacks is an essential part of summer for visitors and residents alike, and the region&apos;s vast supply of navigable waterways have created a vibrant community of paddlers, boaters, sailors and swimmers.